6 hours of unlimited digital photography on your wedding day with one professional photographer. 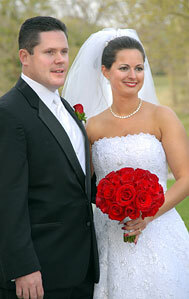 All photos viewable on your own online wedding gallery. All photos at full resolution on DVD-Rom – "digital negatives" with full reproduction rights! A 11x14" custom photo enlargement suitable for framing. 30-page, Lambskin 13x9.5" custom wedding album coffee table book from Italy. We encourage you to call us at 972-822-3587 if you have and questions or to set up your personal consultation. * Add 100 4x6" prints in sleeved album for $100. Your retainer of $1,250.00 holds your wedding date. We accept payment in check, cash or money order. Call 972-822-3587 to book your wedding date. 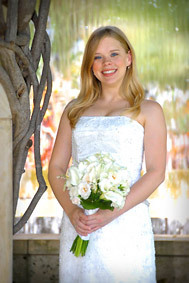 Call Wedding Photographer McKinney at 972-822-3587 to book your date. © 2000-2013. All Rights Reserved. McKinney Wedding Blog. Web Design by Promise Productions USA.